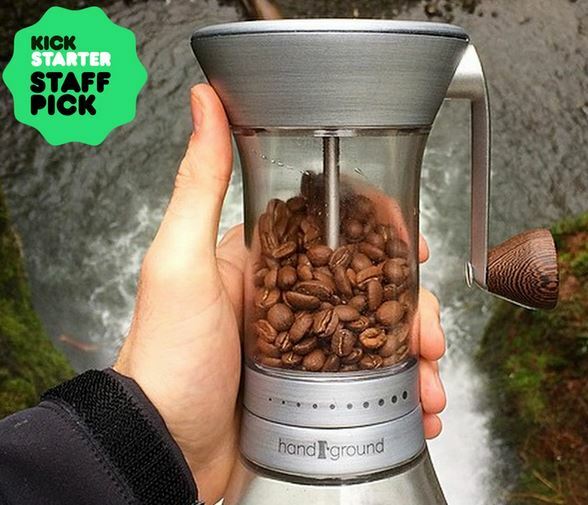 Brandon Warman is the co-founder of Handground, makers of the Professional Coffee Grinder. Their recent crowdfunder was extremely successful, raising nearly 900% of its original $35,000 target. Brandon was kind enough to answer a few questions for us on his experience. BW: The Kickstarter campaign is our first source of funding for this project. Up to this point all funding has come personally from Daniel and me. The product itself was fully designed and successfully prototyped prior to the start of the Kickstarter campaign. We used multiple crowdsourcing methods to build a group of people we call Team Handground who have helped us make decisions on everything from the design of the grinder to the name of the company. 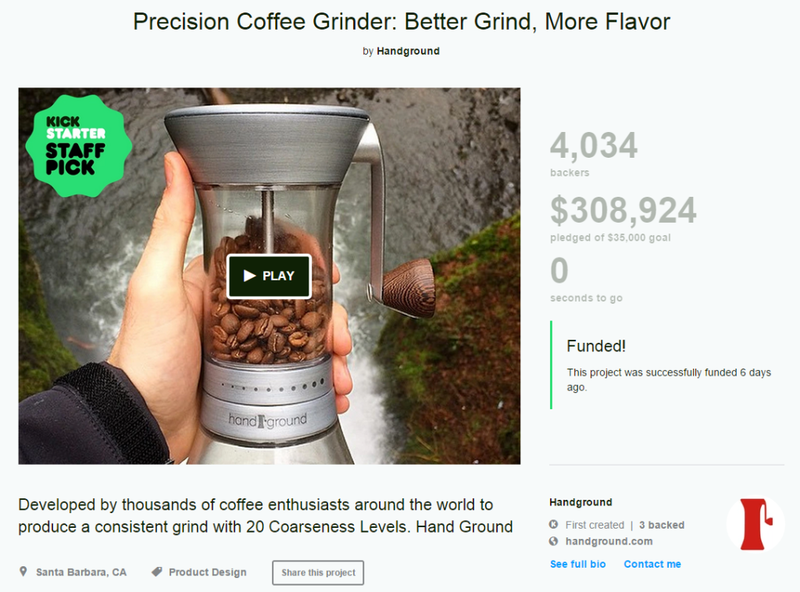 BW: Through crowdsourcing the design of our grinder, we had over 1,000 people contributing to the project. In addition to helping with the design of the grinder, these people also helped spread the word for a pre-launch campaign that we held one month prior to the launch of the Kickstarter campaign that brought in around 7,000 interested individuals. We were also able to attract a large following on Instagram, with a following count around 8,000 at the launch of our Kickstarter. I believe gaining a following before launch is one of the most important aspects of a successful crowdfunding campaign. BW: Yes, the majority of our time was spent preparing for the launch, working on everything from our Kickstarter page, to our promotional video, to our pre-launch campaign, to narrowing down a manufacturer that could be ready to go immediately after the campaign ended. CE: Did you hire any outside experts or consultants? If do, how did you find them? BW: We found a lot of help through platforms like Elance, Behance, GrabCad, Amazon Mechanical Turk, and 99Designs to help with all range of things from website design to product design. BW: We chose Kickstarter because their web traffic has been growing substantially along with the number of successfully funded projects, and more specifically, the number of successfully funded coffee projects over the last few years. CE: Were most contributors existing fans? BW: A large number of contributors were existing fans or had found us through social media posts made by our fans. Surprisingly though, around half of our backers have organically found us through searches on Kickstarter. CE: Did you aim for the amount you really needed, or a smaller, more achievable amount? BW: We aimed for what was absolutely necessary to get this project off of the ground. With that said, if you are confident that you will reach your funding goal, it can pay off to set a target that is more achievable to keep momentum going. It’s better to say you reached your funding goal in the first day then you say you reached your goal on day two or three. CE: What portion of your financing does crowdfunding represent? BW: Crowdfunding represent 100% of our financing at the moment. BW: We tried to keep costs as low as possible since we were funding the project solely on our own. We even rented out our rooms on airbnb and slept in the garage at times to help fund the project. Our largest expense was probably creating the prototype, which was well worth it. BW: Yes, but we are not currently seeking any outside investment. The Kickstarter campaign will give us a good cash injection boost to run the business at this time. BW: We held a pre-launch campaign offering 25 Handground grinders for free through a raffle-like system where the more entries you had the higher your chances were to win. To gain entries you could share on social media or gets your friends to sign up. CE: What were the biggest challenges you faced? BW: It was difficult at first to come up with a design that was both aesthetically pleasing and functionally sound as we are entrepreneurs with no background in design. We were able to solve this design deficiency through crowdsourcing our design process. CE: Do you think you’ll run further campaigns in the future? What would you do differently next time (if anything!)? BW: If we were to launch another campaign down the road I would try to get more press coverage on the project. We saw some significant spikes during the campaign that can be directly linked to the press coverage that we received. CE: Has anyone approached you to help them with their campaign? What proportion of them would you say have been good/bad ideas? BW: Yes, we have had a few groups approach us for advice on their campaigns. You can crowdfund almost anything nowadays and I think if done right you can almost always get the funding you need for them. All the ideas we have seen thus far have been great. BW: Building a following PRIOR to a campaign can be crucial to its success. For example, the second highest (highest until the 2nd Pebble watch which just came out https://www.kickstarter.com/projects/597507018/pebble-time-awesome-smartwatch-no-compromises) funded campaign ever on Kickstarter, the Coolest Cooler, failed to reach its funding goal the first time on Kickstarter. They relaunched later that year after spending a lot of time building a following and were able to raise over $13MM. 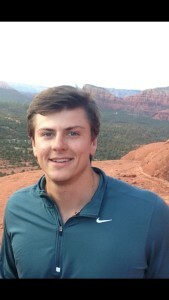 CE: What are some good crowdfunding resources that you’ve used? BW: A lot of successful crowdfunding campaigns will post about their strategies after their campaign is over. I read through a lot of their stories to gain insight on aspects of their strategies made them successful. Some campaigns I learned a lot from were Soma, The Coolest Cooler, Trunkster, and Phone Halo. BW: MailChimp is a great tool for organizing large lists and sending and tracking emails. BW: I think crowdfunding works very well in an environment where there is a rewards based system. The implementation of the JOBS Act may very well change the landscape of crowdfunding in the near future. It will open a door for the average consumer to invest in private companies for more than just a reward, but for an actual stake in a company. This has previously been limited to accredited investors, or high income or net worth individuals. Whether this new avenue for private investment takes hold over the rewards based system only time will tell, but I think companies will do well to take advantage of the incredible amount of new capital that is available to them through the implementation of this law.